upon the waters: approved to adopt! 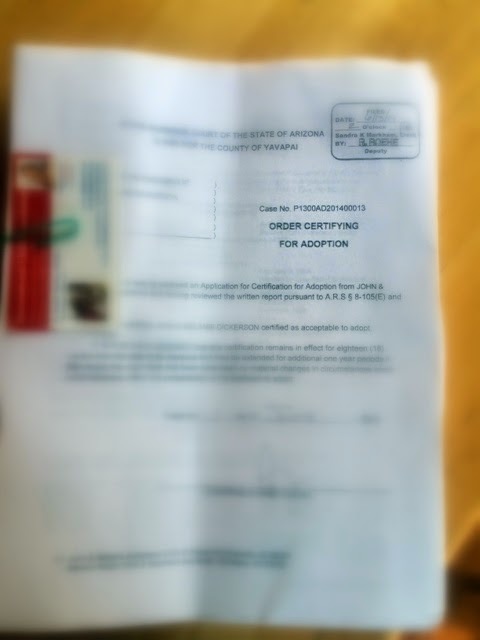 We have officially been approved to adopt by the state of Arizona! This slip of paper is a huge answer to prayer and came at just the right time! This process has been tough, as we were told it would be, there's just no way around it. But, man. It has been fun! 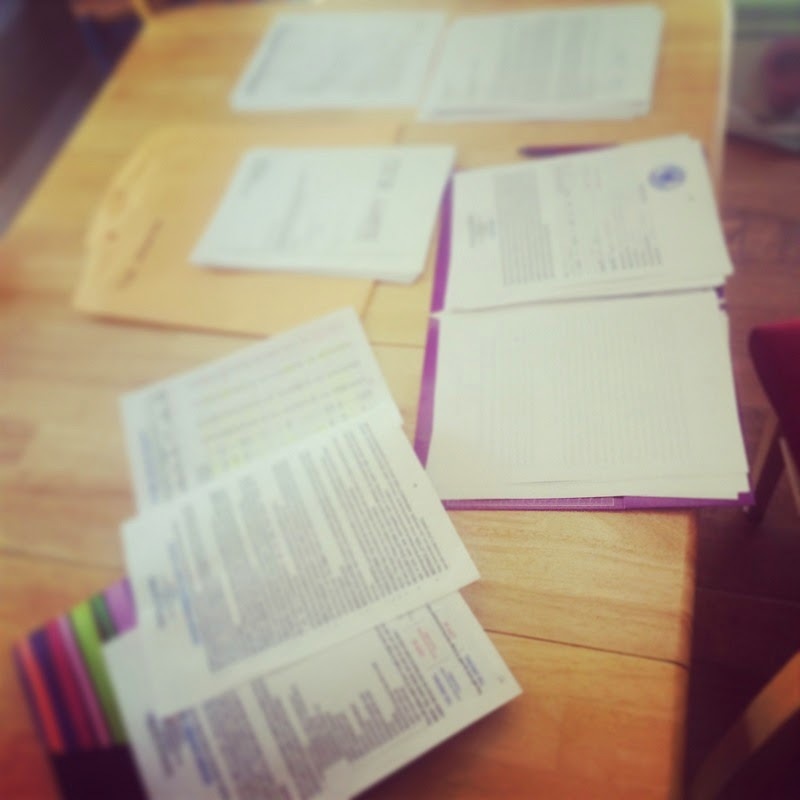 I've never seen myself as a paper-work type of person. However, in the midst of this process I remember being about 6 or 7 and spreading different papers on my parent's coffee table and pretending to call people (I may or may not have prank called 911 at one point.) It was during one of my present day nap times paperwork marathons that I took a sip of coffee and had a flashback to my six year old self, pretending to talk to people about "official business" and doing very serious work. My mug was now filled with real coffee and not water and there were actually people on the other end of the line. People who were helping me with doctor visits and police reports and references. People who knew got us from point A to B and we couldn't have done all of this without them. It was a surreal moment in the many moments that come and go. It was an affirming nudge to keep moving forward no matter how many delays. 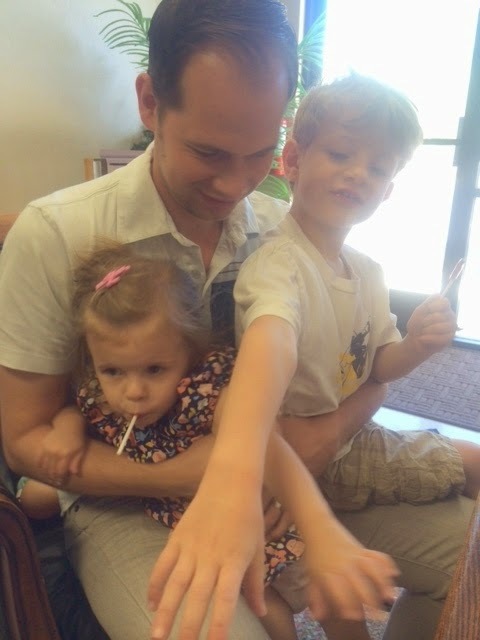 The kiddos came with us to the notary. The second time. It was…memorable. In the last two weeks there have been last minute papers that needed to be re-notarized, birth certificates that needed to be sent to our birth states to be authenticated (which we both have in hand today! thank you Jesus and UPS!) and last minute changes to our translations. We've also had to search all over our small town for an Authentication Stamp that some notaries have. I've probably called 7 or 8 places and every one uses a slip of paper, which is fine unless you're stamping 30 pages. We finally ordered a stamp and Lord willing, it will arrive today. We're almost there! I know this part of the journey is probably the shortest in wait time, but it still feels so exciting to be at the end of something and actually be able to put our name in the hat and begin the process of being paired with our kiddo. We've been praying for her, wherever she is and trusting that He is taking care of her. 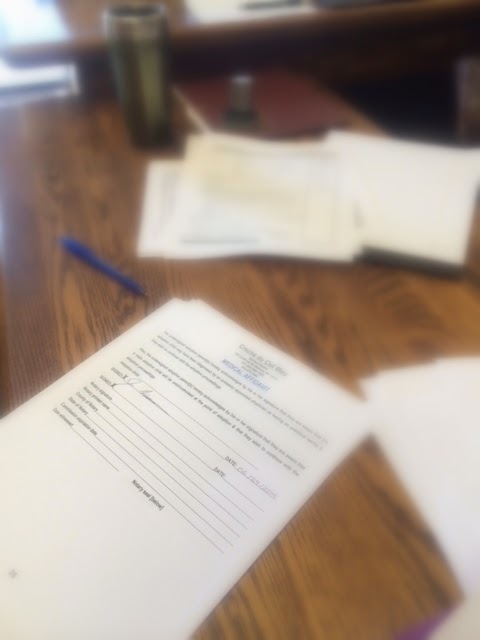 Please pray for the rest of the documents to come together so we can send them to Haiti with our friend when he goes, and please pray that we get the stamp today so our notary can use it tomorrow! So exciting! Praying for you all.